Q: If the stock showing your website is real? Q: Do you Accept Amex or Discover cards? Q: Someone stole my card and used it to buy stuff from your site, what do I do? Q: If catalog is available? Q: What is "Points" Loyalty Program? Q: What are Discount Coupons? Q: How to restoring previous orders? Q: What is "Wishlist" Cart? Q: What is "Save this Cart" feature? Q: How much time Refunds take? Q: Different exchange rate charged on my credit card/ Paypal? Q: What is Return Merchandise Authorisation (RMA)? Q: What are Return addresses? Q: How to apply for RMA Code? Q: Can I use delivery address to P.O.BOX and APO/ FPO? Q: Who is responsible for Customs, Duties, and Taxes? 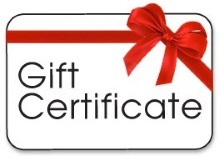 Q: What are Gift Certificates? Q: How to use Gift Certificates? Q: Can a customer use only a portion of the gift certificate? Q: What happens if the amount on the gift certificate exceeds the purchase? Q: What happens if the gift certificate is less than the amount? Q: What are the Points? Q: How to redeem your Points? Although we do our best to ensure that products are available when you need them, occasionally we do run out of stock requiring us to backorder your items. Most backorders arrive in approximately 3- 4 weeks. This is an ESTIMATE ONLY. We cannot guarantee how long yours will take. Delays occasionally occur due to busy seasons, production delays, and material shortages. These delays are unpredictable and every effort is made to minimize your inconvenience as much as possible. We will ship your backorder when all your items have arrived. If you placed an order that includes both in-stock and backordered items, we will ship all of your in-stock items right away. When the rest of your items arrive, we will send you a second shipment. You can cancel your part of order or complete order if you hear from us that some items are on backorder list. A: You will be notified several times from placing your order till it is delivered to you. 1st Notice: When your order is prepared and handed over to logistics. 3rd Notice: In case delivery is failed, you will be notified. You can also login to your account and have all above messages recorded on order status. A: Yes we do including Visa, MasterCard, PayPal and Money order. A: Contact your card company first and tell them to cancel your card because it's been stolen. Then contact us so that we can liaise with your card company to get the money refunded. A: We have set up reward program where a customers receives points at the end of their order based on the products they have purchased. These points only rewarded when an order is PROCESSED (payment successfully done). Customers when reviews their order(s) by logging into their online account, they can see their total points remaining, total points accumulated and points for each order. Customers can redeem their points via COUPONS or GIFT CERTIFICATES. Converting Points: Generally consider 100 Points = 1 US$ for all products but this may vary considerably high for specific product(s). Please check step by step video for further information. c) Coupon may be linked to an affiliate who will receive a commission on any orders made using that coupon. Discount Coupons can be used only once and they deduct a value from the total of the products ordered (this doesnt include shipping or handling fees). For example, if a customer purchases a $40 product with $10 shipping and the coupon has a value of $60, they do not pay anything for the product but have to pay the $10 shipping. They are not able to use the remaining $20 of the coupon for a future order. Coupons are automatically available for use after the customer has redeemed their points. Customers can enter the discount coupon at any time checkout page. If the coupon is valid, the coupon discount separate line item in the order confirmation form. A: Restoring previous orders allows customers to add all of the items from a previous order to their current cart. This also call RE-ORDERING. You need to login to your account to do so. A wish list is very similar to a saved cart but the actual database instead of a cookie, which means you need to create an account with us before you do so. A customer can have multiple wish lists. A: This is option to save cart as Cookie on your PC (you need to put item in shopping cart first). It remains valid for 30 days. You should allow Cookies in your browsers. You don't need to create an account with us. A: All kind of refunds subject to the final receipt of goods ordered and don't include shipping costs. A Refund can only possible if RMA is approved. If you paid with paypal, refunds happens in 2- 3 working days while for Credit Card payment, our Bank may require 7- 10 working days before refund actually appear in your card. A: Our official working currency is US Dollars and we charge in same currency at time of your ordering, The exchange rates on our website are for reference purpose and don't reflect current rates. Declined 10413 : The totals of the cart item amounts do not match order amounts. This error could appear when you first put items in cart and calculate already shipping cost, Taxes etc. and then instead of paying by credit card, you click "Paypal Checkout" option. Since "Paypal Checkout" do calculate its own shipping charges based on address on paypal account, therefore total amount already in cart (inc.shippinng & Taxes) does not matches to item cost in Paypal Checkout. To resolve this, click second time on "Paypal Checkout" so that session is reset or delete your items in cart, add new items and then click directly on "Paypal Checkout"
A: If the products were broken in-transit then please contact us and we'll ship you a free replacement, or a full refund (your choice). A: It depends on the product. 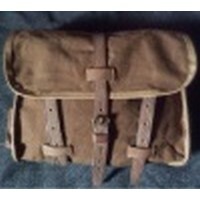 Most products are returnable within 14 days but you may need to pay return postage. Please apply for RMA (Return Merchandise Approval) by logging to your account. The Return Merchandise Authorization (RMA) system allow customers to request returns of either the whole of an order or an individual portion of an order. Customers are advised to return the Merchandise once they have RMA Approval code from WPG. This code has to be written on Package sent back. RMA request has to be made within 30 days after receipt of Merchandise. For US Customers: 238-A Commission Street, Salinas CA 93901, USA. For all other Countries : WPG International, Warehouse # Q3-087, P.O.Box 121644, Saif Zone, Sharjah, United Arab Emirates (UAE). No return(s) will be accepted without RMA Code written on return packages. You need to login to your account here. Go to "Orders" section and click on "Review previous Orders". You will get all your recent and past orders. Click at an Order ID for which you want get RMA code. Order copy will be opened and you can see your order content. If you are applying RMA for one particular item, click RMA link right above that item or in case if there are more than one item or whole order, click RMA link on top of Order number. A message window will be opened in both cases, all you need is to select if you are applying for Refund, Exchange Product or Other and explain the reason in Comments/ Special instruction box. Finally hit the "continue" button and a RMA request will be generated and copy will be sent to you. Transit times varies depending on origination of shipping and destination. A Tracking number is provided when your order is processed within 1- 2 days. We use different courier services to deliver in optimum time. * Only Working days are indicated below and it do not include customs clearance time. Our Working days in USA are Monday till Friday and in UAE whole week except Friday. A: We ship by USPS/ EMS which is our Standard Shipping. For express deliveries we use DHL and FedEx. A: It varies on the weight of the product and shipping method. You can check shipping charges by adding products in shopping cart and then click "Shipping" menu. A: Yes you can but in this case we can only ship using EMS/ USPS provided they accept the delivery. Therefore we suggest to check with us after placing an order if delivery is still possible. A: The recipient of an international shipment may be subject to customs brokerage fees, import duties, and taxes after the shipment reaches the destination country. These charges are the responsibility of the recipient because we have no control over these government-imposed charges and cannot determine what they may be. Customs policies vary greatly among countries. Please contact your local customs office for information. A: At times, gift giving can feel like an overwhelming chore. Trying to find exactly what the recipient will want or need can be stressful. When it comes to holidays like Christmas or special occasions like birthdays and weddings, gift certificates can simplify the gift giving process. Customers can buy and redeem gift certificates in our store. A gift certificate is paid for like any other product in our shop and the person receiving the gift certificate can then use it to purchase any item in our shop. The certificates essentially acts as a discount up to the value remaining on the certificate. A: During the normal shopping process on our site, a customer with a gift certificate can enter it on the same page as their other customer details. The certificate is checked at this time to ensure it has value remaining, is authorized and that is hasnt exceeded its expiration date. Normal expiry date of Gift Certificate is 365 days from date it purchased. A: Yes, the portion used is deducted from the remaining amount left on can then use the remaining amount for a purchase at a later time. WPG will bypass the normal payment processing and mark that payment was made by a specific gift certificate. A: The customer will be required to pay the difference between the gift certificate using your regular payment method. A: Every time you make purchase on our website, you get reward POINTS based on total order amount (excluding Shipping charges). Usually 100 points = 1 US Dollar but for some products these are offered double. Your points are accumulated to your customer ID whether you register your account on our website or use Guest checkout. If you have more than two accounts you can contact us to consolidate your accounts into one. A: You can redeem your Points by logging into your account. If you don't know your userid or password, you can retrieve both by entering your email address you used to registered an account with us. If you use Guest checkout option, you can still do this by clicking here. You can see video tutorial video here.